Every so often a cake recipe comes your way that makes you sit up and take notice. The Moroccan Orange Cake was just one of those moments for me. This Chocolate Beetroot Cake signifies another lightening bolt, so now I’m sharing it with you. The colour purple, according to the fashion pack, is where it’s at this season (how appropriate then that the Autumnal Aubergines post has had lots of good feedback, thank you all). 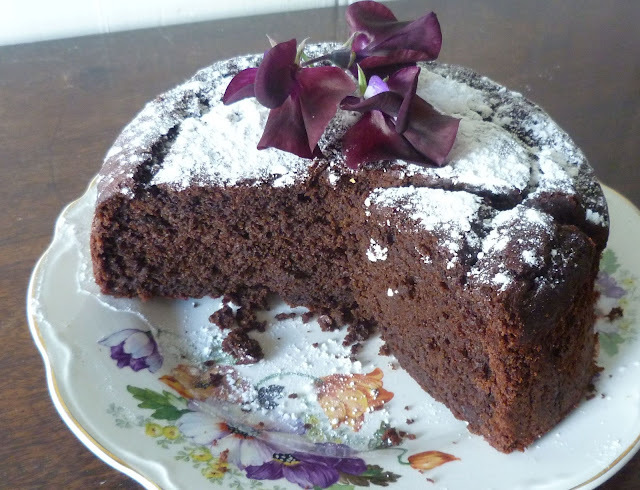 In the spirit of all things puce, here’s another jewel coloured recipe to try. There’s definitely something about beetroot’s vibrant colour that appeals to the child in me. How does something that looks quite boring when it’s growing in its cold, damp vegetable patch, have the capacity to transform into something quite captivating on the plate? 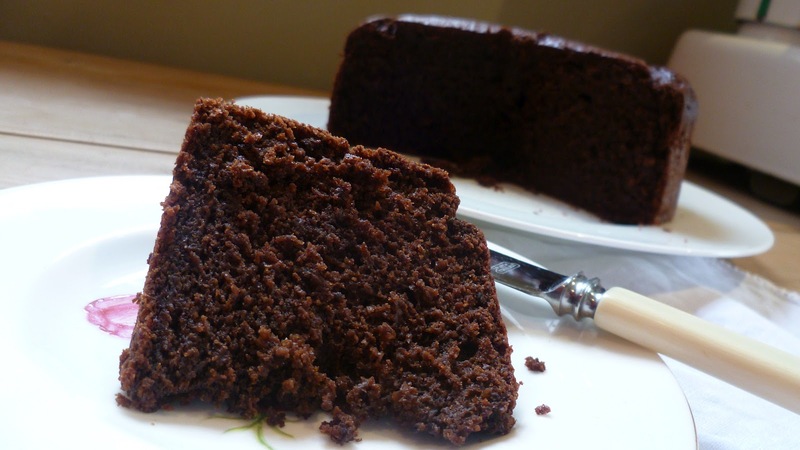 I must admit it’s taken me years to find a chocolate cake recipe that’s as moist and as light as this one. 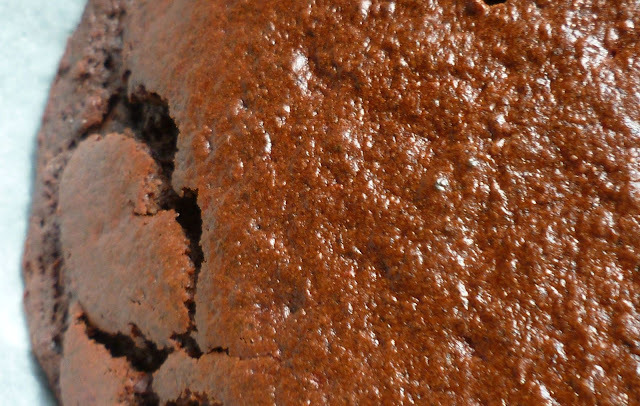 The oil and the vegetables seem to give it an added fine texture and a rich, deep chocolate flavour and colour. The original recipe uses normal wheat flour, which I substituted for a gluten free version. 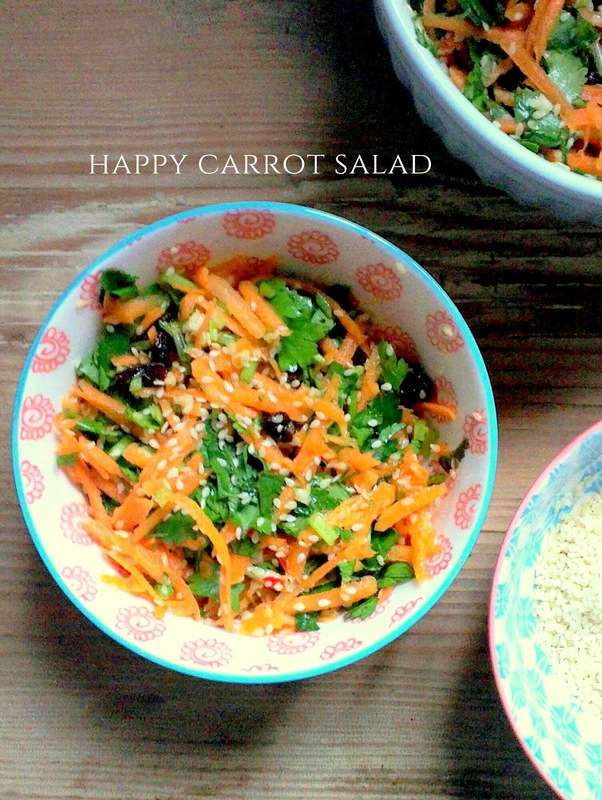 I also added 50g of raw grated carrot which adds to the beautifully moist texture. If you're dairy free too, just add rice milk instead of normal milk. Please don’t be put off by adding vegetable into your sweet treat either. Believe me, this one’s a winner. Think carrot cake, zucchini bread and pumpkin pie. All make deliciously good use of a glut of Autumnal vegetables, creating an afternoon treat to be loved and looked forward to each year. 1. Grate the raw carrot. 2. Preheat your oven to 160degrees. Line your tin, both base and around the sides, with baking paper. 3. Mix the flour, sugar, cocoa and baking powder, if using, in a large mixing bowl. 4. In the food processor, blitz the beetroot, oil, eggs and milk, pour over the dry ingredients and add the grated carrot. Mix well. 5. Pour into your tin and bake for about 50 minutes to an hour. Check it's fully cooked through with a cocktail stick. When it comes out clean from the centre of the cake it's done. 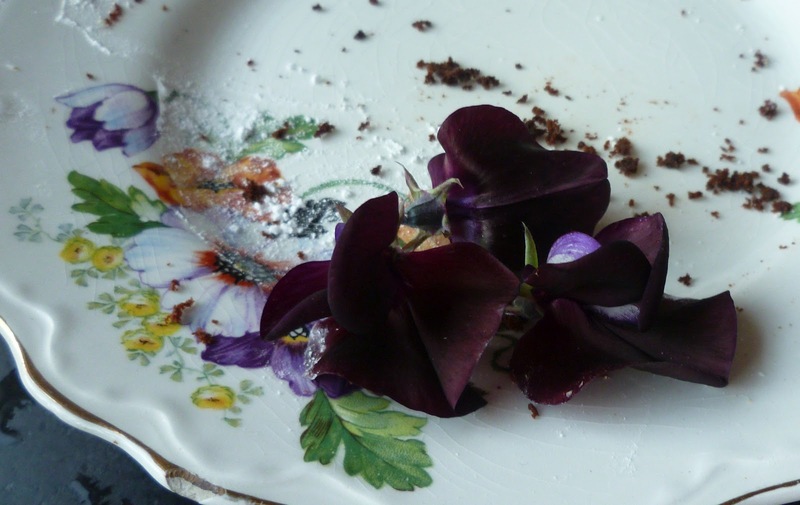 You could try an American style frosting to decorate, but as we’re doing dairy free here I opted for a simple icing sugar affair, with some beetroot coloured sweet peas grown by my dad (don't eat them obviously). What could be better. i have never baked a cake at 160 degrees...is it low heat because of the gluten free flour?